Finger stall protector glove for fishing. > 1 x Finger Stall for Fishing. Specially made for fishing. Fish Species : Carp. Adjustable elastic band and one size fits all. ◈ Fishing. Can be worn on left or right hand. Finger stall protector glove for fishing. > 1 x Finger Stall for Fishing. Specially made for fishing. Fish Species Carp. 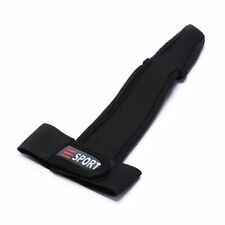 Adjustable elastic band and one size fits all. Yoga Block Pilates Foam Foaming Brick Stretch Health Fitness Exercise 23CM Size. Casting glove for left hand. Finger stall protector glove for fishing. 1x Finger Stall for Fishing. Specially made for fishing. 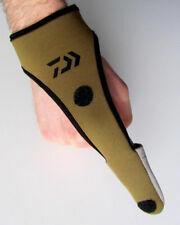 Adjustable elastic band and one size fits all. Can be worn on left or right hand. One size fits all. We are alwayswilling to work things out. Pad of finger Material: Imitation Leather. Printing & Graphic Arts. Our single finger gloves is made of high quality fabric material. Soft, comfortable and good flexibility. Size adjustable with hook and loop fasteners. 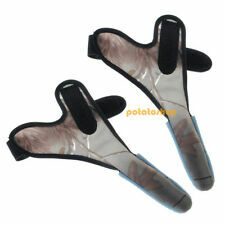 Surf Sea Fishing Finger Glove Protector Non-Slip 8AGOA1. Keep you index finger from hurt during guiding the line when casting, but way more comfortable and flexible than a full finger gloves. Pebble finger for non-slip use. (Non-slip Fishing Single Finger Stall Protector Adjustable Elastic Casting Glove. Item included: 1 x Finger Stall for Fishing. 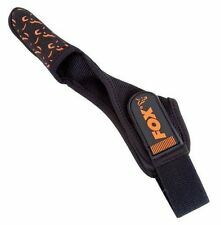 1) Finger stall protector glove for fishing, specially made for fishing. Suitable for: fishing. Finger stall protector glove for fishing. Type: Fishing Finger Stall. 1 x Fishing Finger Stall. Adjustable elastic band and one size fits all. Due to the light and screen setting difference, the item's color may be slightly different from the pictures.